His friend Revilo Oliver, then a classics professor at the University of Illinois — and a longtime racial patriot — suggested that he try disseminating his views through fiction, as was done in didactic novels such as Jack London’s The Iron Heel. The writing came easily. 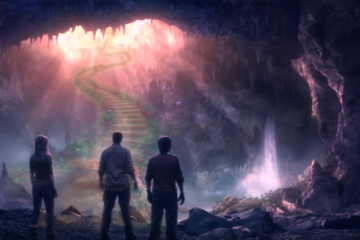 Pierce had finally tapped into perhaps his greatest capacity: his ability to dream. He portrays the protagonist, Earl Turner, as a soldier in an underground White army called the Organization that is fighting to bring down the Jewish-controlled federal government. Turner helps establish a White homeland in Southern California and eventually, heroically, sacrifices himself by flying a crop-duster armed with a nuclear warhead into the Pentagon. For his kamikaze attack, Turner is enshrined in the Record of Martyrs, his name memorized by grateful White schoolchildren, and his diaries made available to the general public in a special edition issued 200 years after the Great Revolution. 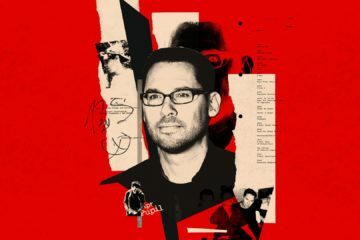 With a serial that popular –creating more reader excitement than all the other works he’d published put together — putting the story into book form was obviously the right thing to do. One of The Turner Diaries’ earliest and most passionate readers was Robert Mathews, a young man from Metaline Falls, Washington, who tried to launch an abortive White revolution in the mid-1980s. In 1983, before that attempt ever took place, Mathews delivered a fiery speech at a National Alliance convention in Arlington, Virginia. “My brothers, my sisters,” Mathews began. “From the mist-shrouded, forested valleys and mountains of the Pacific Northwest, I bring you a message of solidarity, a call to action, and a demand for adherence to duty… We have broken the chains of Jewish thought … Stand up like men and reclaim our soil! Kinsmen, arise! Look toward the stars, and proclaim our destiny!” It was essentially a call to arms — and, in fact, when the recorded speech was later sold by National Vanguard Books, it was given the title “A Call to Arms” and contained an introduction by Dr. Pierce. Some have accused Dr. Pierce of receiving proceeds from Mathews’ revolutionary efforts. Asked if he ever received money from Mathews, Pierce jokes, “He paid his dues before he dropped out of the Alliance.” And that’s all. William Pierce insists — and not just to the media, but to his members as well — that the Alliance is a legal, non-violent organization. From early on, he publicly discouraged and forbade illegal acts by members. In fact, the Alliance bars persons serving time in prisons or jails from joining — except in “extraordinary circumstances,” such as those charged solely because of their political or racial beliefs. 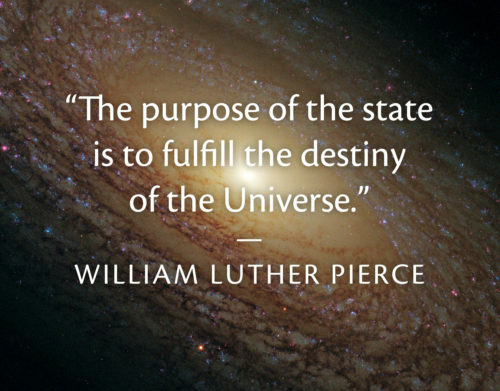 In the 1970s Pierce created the religion Cosmotheism, which embodied the spiritual beliefs at the root of his worldview. Cosmotheism is a form of panentheism, a belief which asserts that “all is within God and God is within all.” It considers the nature of reality and of existence to be continually evolving toward higher and higher levels of consciousness. Race-formation, racial separation, and eventual speciation are necessary parts of this continuous evolution. All we require is that you share with us a commitment to the simple, but great, truth which I have explained to you here, that you understand that you are a part of the whole, which is the Creator, that you understand that your purpose, the purpose of mankind and the purpose of every other part of creation, is the Creator’s purpose, that this purpose is the never-ending ascent of the path of creation, the path of life symbolized by our life rune, that you understand that this path leads ever upward toward the Creator’s self-realization, and that the destiny of those who follow this path is godhood. 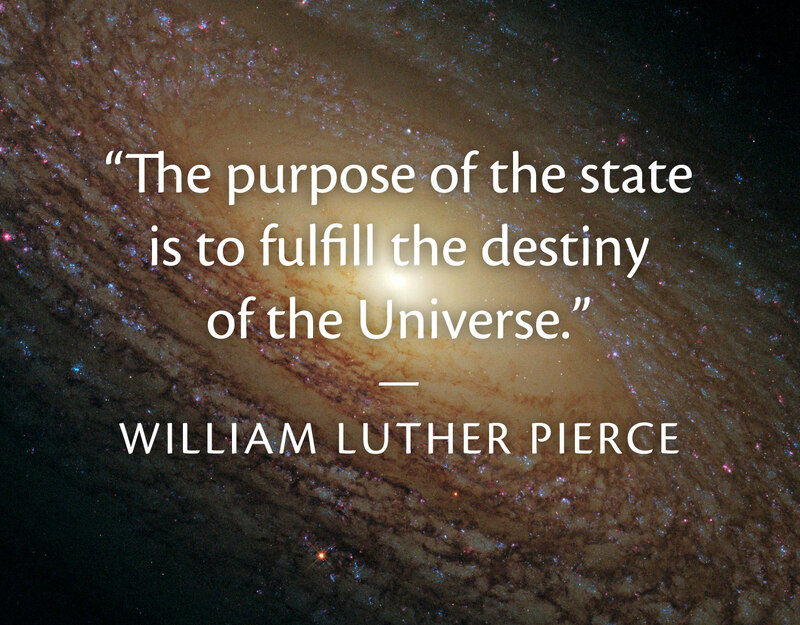 Pierce described Cosmotheism as being based on “[t]he idea of an evolutionary universe … with an evolution toward ever higher and higher states of self-consciousness.” His political ideas followed from this, and were centered on racial progress through self-selection, eugenics, and struggle as the means of advancing the White race toward what he sometimes called Higher Man. In his view, the White race represented the pinnacle of human evolution thus far — and therefore it should be kept genetically separate from all other races. A Cosmotheist thread can be found throughout most of Dr. Pierce’s political writings, even in The Turner Diaries. In that book, the title character is inducted into an elite group of White revolutionaries called the Order. As a part of this induction, Turner is given a religious text to read that is simply called The Book. After reading it, Turner is awestruck, and comments that “We are truly instruments of God in the fulfillment of His grand design.” In 1998 Pierce expressed interest in writing a book on the subject of Cosmotheist theology, something he repeated to Professor Robert Griffin in 2001. Pierce said that the ease of modern life has caused a deterioration of the race — a devolution. The elements of Nature, which enforce the law of “the survival of the fittest,” are held at least partly at bay by science and technology. Therefore today the unfit reproduce in greater numbers — effectively stopping evolution. In addition to the detrimental effects of modern civilization in general, Pierce saw Christianity as being one of the key factors that has stood in the way of the upward progress of our race. 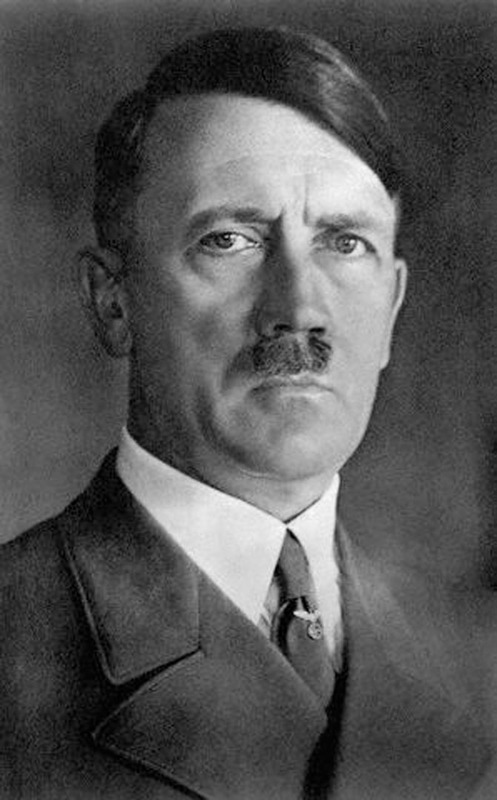 One of his objections was the non-Aryan origin of the religion. 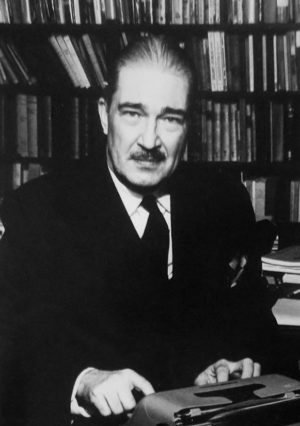 In a critique of the American conservative movement, he wrote: “The root of the problem …is that the religion of the Moral Majority is of alien origin. It grew out of a Jewish sect, and it was exported to Europe and Asia.” (quoted by Strom, 2003). 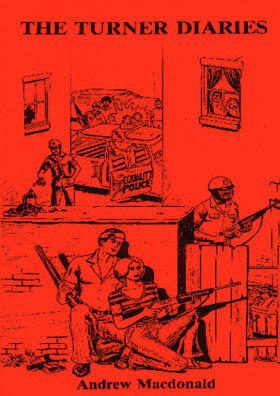 Pierce saw that the deepest evil in communism “was not that it took property away from those who had earned it or inherited it and gave it to those who had not; the evil was not that it discouraged individual initiative, or that it eventually made an economic basket case out of every nation on which it was imposed. The evil of communism was that it preached egalitarianism. It denied the differences in human quality among individuals and among races. Worse, it inverted the natural rankings of human beings. It appealed to the worst to bring down the best.” (American Dissident Voices, 7/14/01). Pierce believed that one aim of the Jews was to spiritually weaken Whites, making us less likely to perceive their genocidal plans. Miscegenation would be the Jew’s final and ultimate weapon, destroying the White race forever through irreversible interbreeding with other races. Pierce held that with the modernization of Western society and the increased luxury that came along with it, another defect emerged in the White race: individualism. As he put it: ” … whereas 50 years ago most persons at least felt obligated to accept and pay lip service to society-centered, nation-centered, or race-centered mores, today there is often no comprehension or even awareness of any viewpoint but one of extreme individualism. Society, in the eyes of far too large a portion of the current generation of Westerners, exists to serve the needs of the individual, and that is all.” (Strom [ed. ], Best of Attack and National Vanguard, p. 191). Pierce further believed that this trend was not only damaging to society, but showed a lack of maturity on the part of the person in question: “There is in each of us a combination of infantile urges and more mature desires and needs. The infant seeks only to gratify himself and avoid pain. 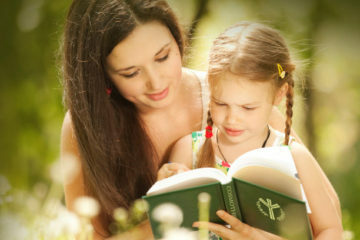 The well-developed man or woman has a more inclusive concept of ‘self” than that of the infant. He is concerned not only about his own needs but also about the needs of his family, his community, his clan, his nation, and his race.” (Strom [ed. ], Free Speech, No. 2). “There were a lot of decent Americans who fought in the war in Europe, anti-Communist Americans, and many of them don’t want to think about the fact that they fought on the wrong side …I believe that knowing the truth… is far more important than protecting our carefully-nurtured belief that we were on the side of righteousness. I believe that understanding how we were deceived in the past is necessary if we are to avoid being deceived in the future.” (quoted in Griffin, 2001, pp. 274-275). To William Pierce, race counted — but not nationality. He said: “We in the National Alliance are not nationalists in the old-fashioned sense, in the sense of geographic nationalism. We don’t belong to the ‘USA, right or wrong’ crowd, which considers any featherless biped claiming U.S. citizenship, regardless of race, color, or creed as a compatriot. Our nationalism is really racial nationalism. Our compatriots are our fellow White men and women, our fellow Europeans, everywhere: in America, in Europe, in South Africa. Nationalism in our sense, racial nationalism, is still a relatively new thing as a political ideology, although it is based on instincts much older than any ideology.” (quoted. in Griffin, 2001, p. 377). Dr. Pierce decides to close up shop for the day and ride up to the top of his mountain. It takes a few minutes, the four-wheel drive bucking over the rugged road as dusk comes on. 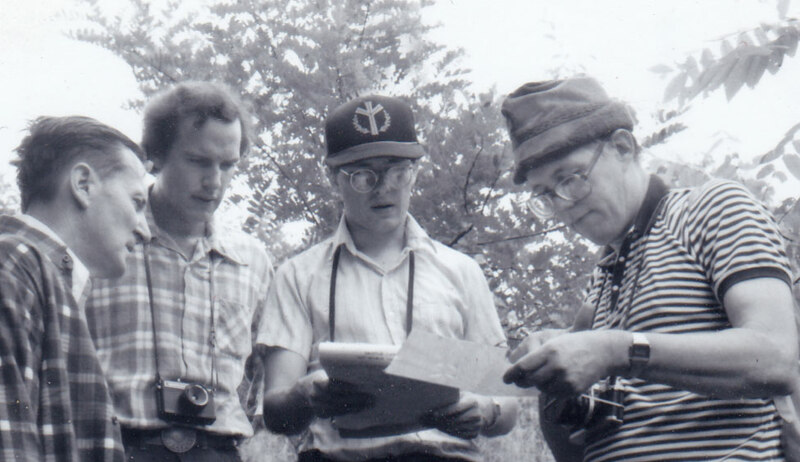 Exploring “The Land” for the first time, July 2, 1984: Gerry Sykes, Alan Balogh, Kevin Strom, William Pierce. Photographer: Jim DeWitt. By the time Pierce reaches the mountaintop, it’s twilight, the air crisp and still. The countryside spreads out below, as beautiful as a Maxfield Parrish landscape. A few farmhouse lights gleam in the distance. A roadway winds its blue way across the valley. “You didn’t used to see lights when I first moved here,” Pierce says. Does he believe he has changed the course of history? Then he turns to head back down the mountain. You’ve been listening to part 2 of “William Pierce: Preparing the Way” on American Dissident Voices. 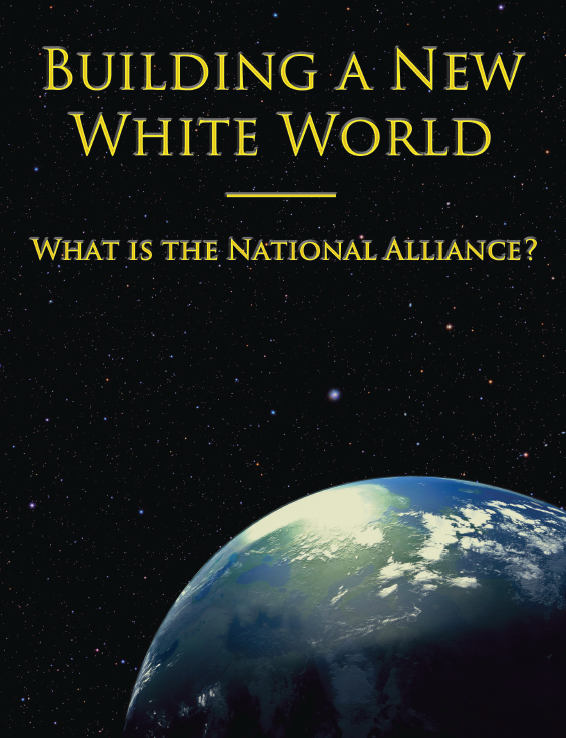 The National Alliance has just published a brand-new edition of Building a New White World: What is the National Alliance?, which I will be proud and happy to send to each and every one of you who writes to me today. This 16-page, full-color magazine-format booklet — a great improvement over all previous editions — is an impressive introduction to the ideas and program of the National Alliance, and is the most powerful recruiting tool we’ve ever published. It’s a fitting achievement as we carry forward Dr. Pierce’s legacy. There is nothing quite like holding this new, beautiful publication in your hands — and passing copies along to those who need the answers we can give them. 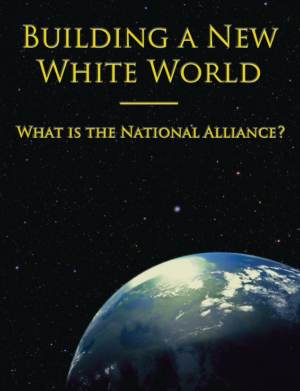 For your copy of Building a New White World, order online or send $3 for one copy, 10 for $15, 25 for $30, 100 for $110, to National Alliance, Box 172, Laurel Bloomery TN 37680 USA. Make checks payable to the National Alliance.